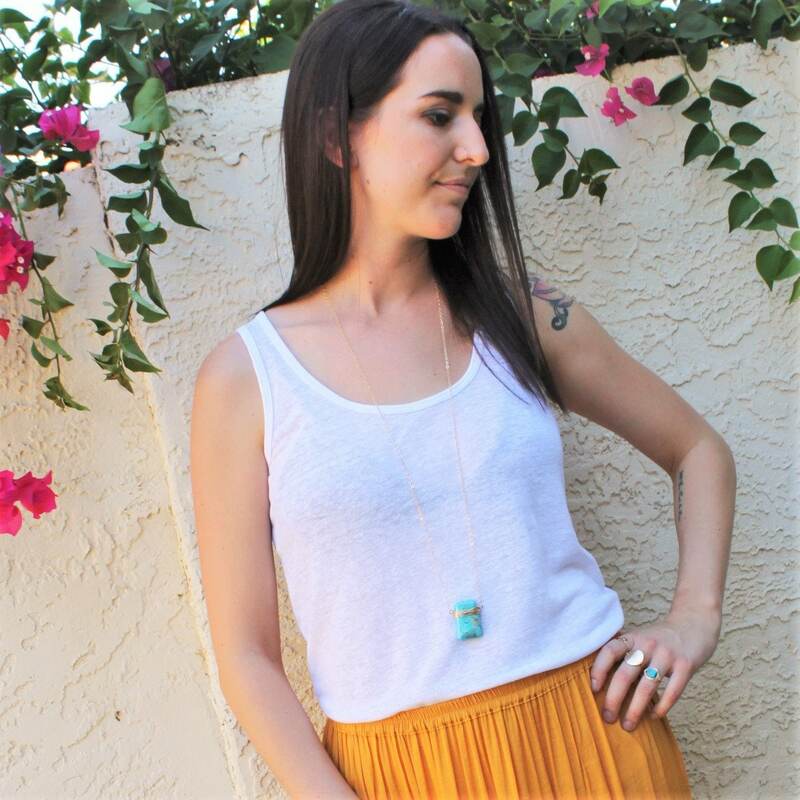 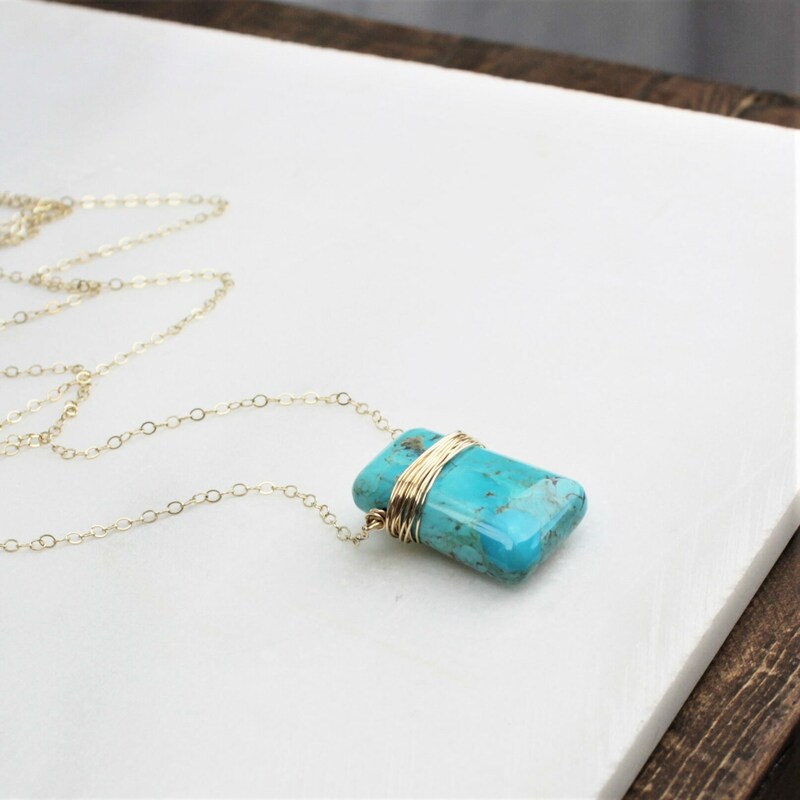 Our long turquoise necklace is the perfect compliment to your favorite tee and your LBD. 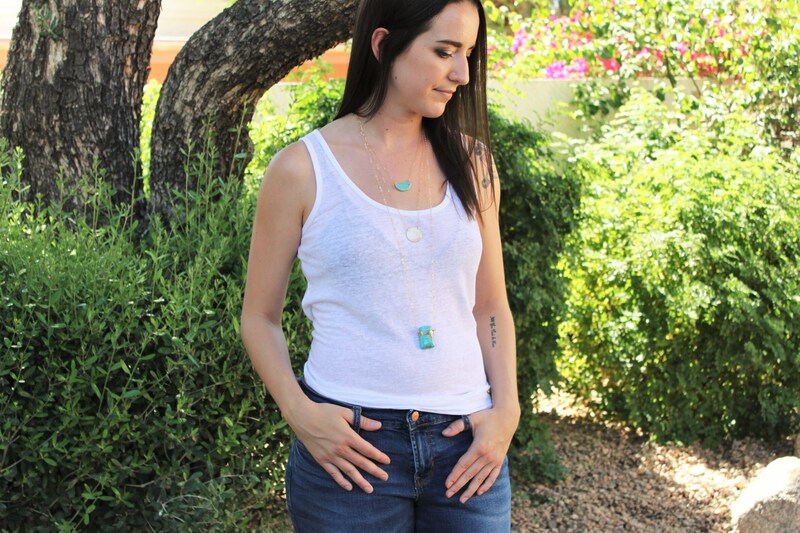 From a local Arizona mine, each pendant is one of a kind. 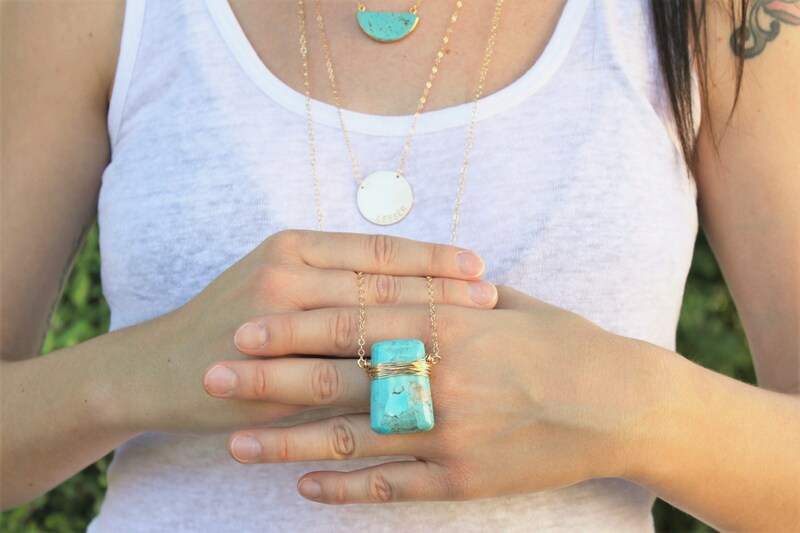 This design is a limited edition. 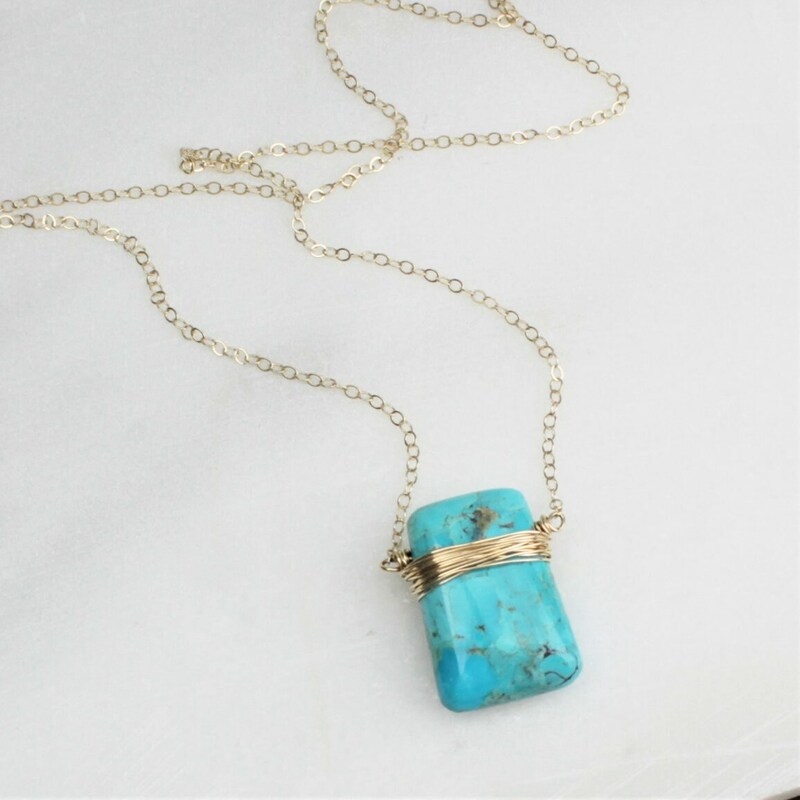 -14kt gold filled or sterling silver link necklace. 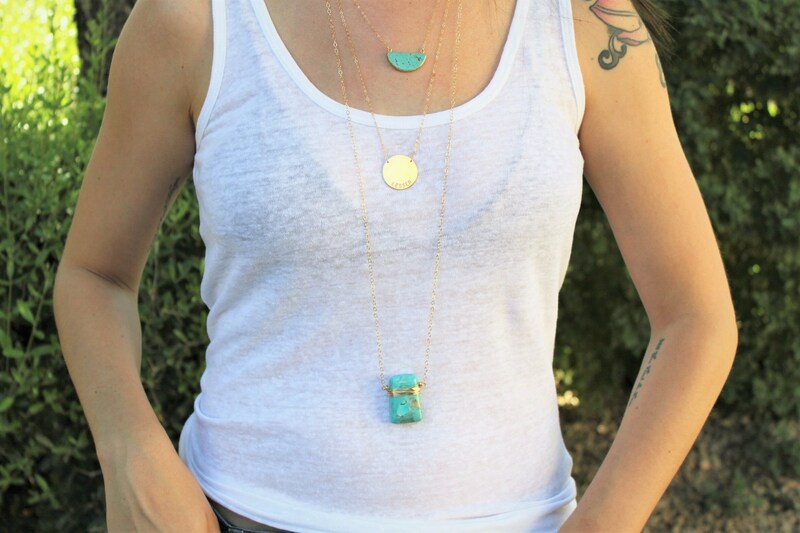 -Wear it layered with your favorite piece or alone. 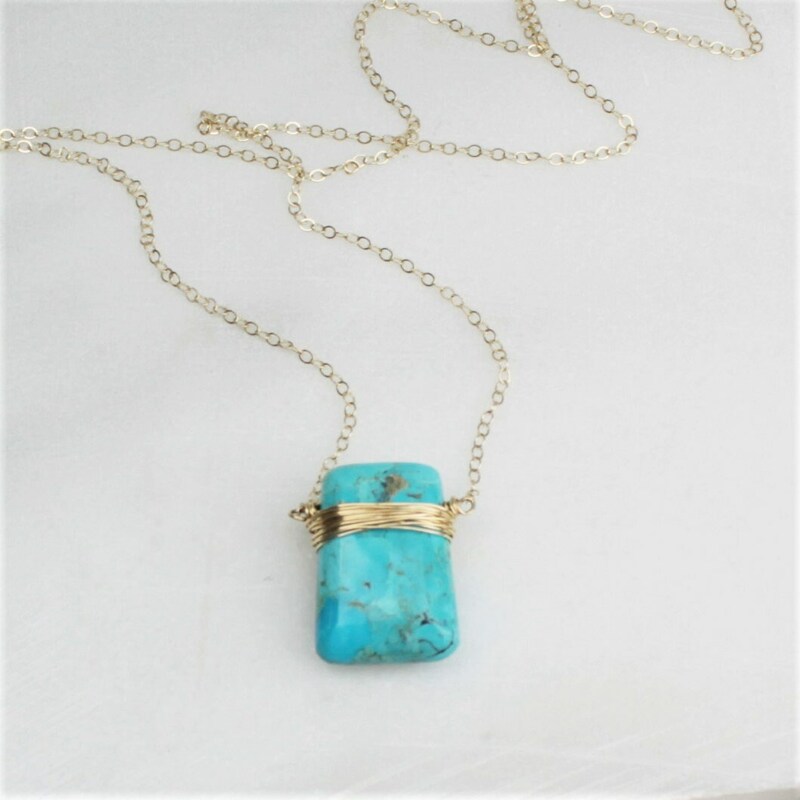 This listing is for one long turquoise necklace only, to purchase the other layering necklaces please visit our shop.